Comprehending the Bible is dependent on a consistent use of hermeneutical rules. Discerning the difference in the use of language such as poetry, symbolism, metaphor, simile, history, or prophecy is fundamental to interpretation. Accepting the fact that the Bible was not written to 21rst century students means that reading the Book in context of the historical setting in which the particular passage was first penned is vital. Also, determining who is communicating and to whom they are speaking helps in determining the range of time and even of place that the speaker intended the message to encompass. We should not read Leviticus and believe that God is directing us to become priests or to render sacrifice. The message was from God to a particular people who lived at a particular time and for which a particular agreement was established. In the New Testament section of the Bible it becomes clearer that the Mosaic covenant was to be concluded. The Jews as a chosen people were expanded to include those of any nation who called upon the name of the Savior. Even the law and religion of the Jews was to end within the generation of Christs’ ministry. Imagine, God ended religious worship and a better way of approaching him was established through Christ. A spiritual relationship much deeper than the outward splendor of temple, incense, and mediation through priests had come to supplant those ancient Jewish religious trappings. 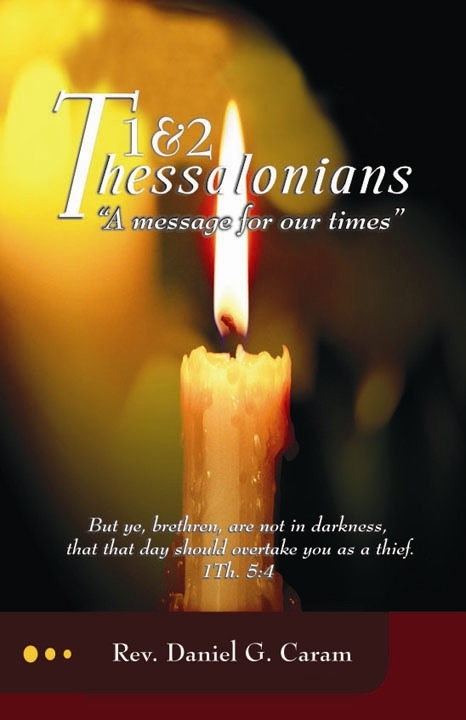 When Paul wrote of he things that were shortly to happen to the people at Thessalonica, the context demands we understand the limits of the message. His message should not be taken from that context and applied to 2017. 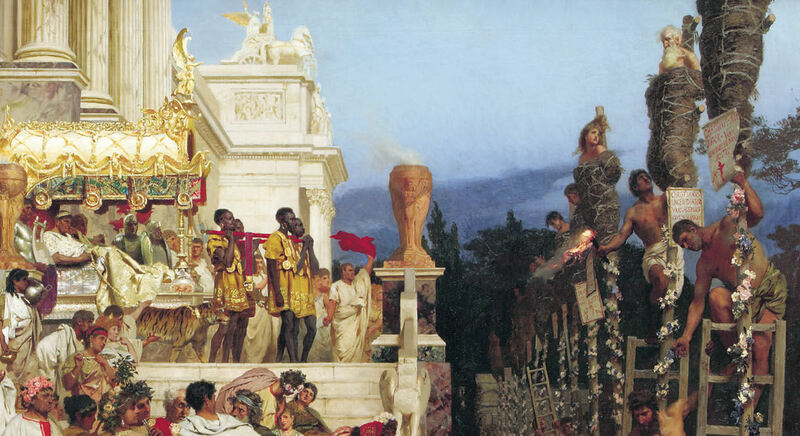 While the principles of Christians living, honesty, morality, generosity, and kindness apply to our age as well as theirs, the events that established the first church, the first communion, the first baptisms, were particular for that time. This explains why many find the Thessalonian passages and others like it so difficult. The man of sin, the persecutions, and even the advent of Christ’s return were spoken to the first generation disciples as immediate concerns. We are privileged to read of those times but we are not free to pull those passages from their context and apply them to today as though the man of sin, who was to be revealed in their time, will be revealed in ours. He was exposed. He started a war against the rebellious Jewish Nation and he died. Such are the fundamentals to a complete understanding of the things God wanted to reveal to us. 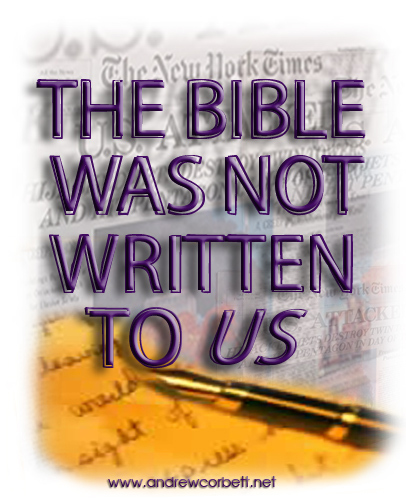 You see then, the Bible was not written to us but it was written for us. A MESSAGE FOR ALL TIMES, EVENTS OF THE FIRST CENTURY! In chapter two, the exclusiveness of this message to that church becomes more apparent as Paul reminds them how hard he worked among them, and in a way that he would not be a burden since he paid for his own expenses. Paul dealt with them as a father cares for his children. He urged them and encouraged them to lead a righteous life. He reminded them of the opposition of the Jews to share God with the gentile world. Paul wanted to see them very much since they had become such close patriots in the kingdom of heaven (1 Thess. 2). We can see then that Paul meant his words to be taken to heart by them. For us, he and they set the example of living gentle and pure lives. However, we know very little of their persecutions or of what it cost Paul to labor among them. The letter was written to them and not to us. We learn from the letter how they lived in holiness and what they endured so that we too might understand the seasons and the times for the fulfillment of Bible prophecy. …BUT IT WAS WRITTEN FOR US. 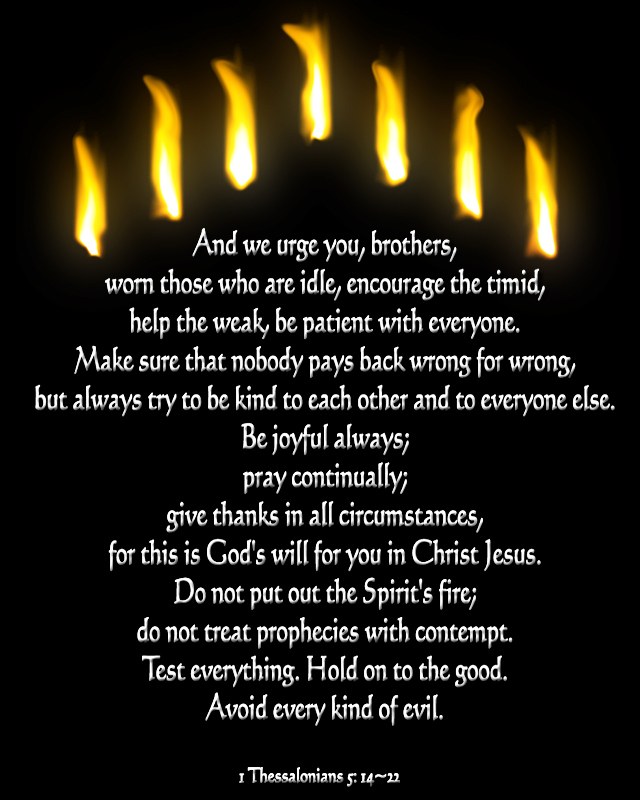 In chapter four, Paul did not want those people to be grieved by the death of their friends. Because Jesus had died, he would resurrect those same people when he would return. Here Paul gives details of the coming of Christ. 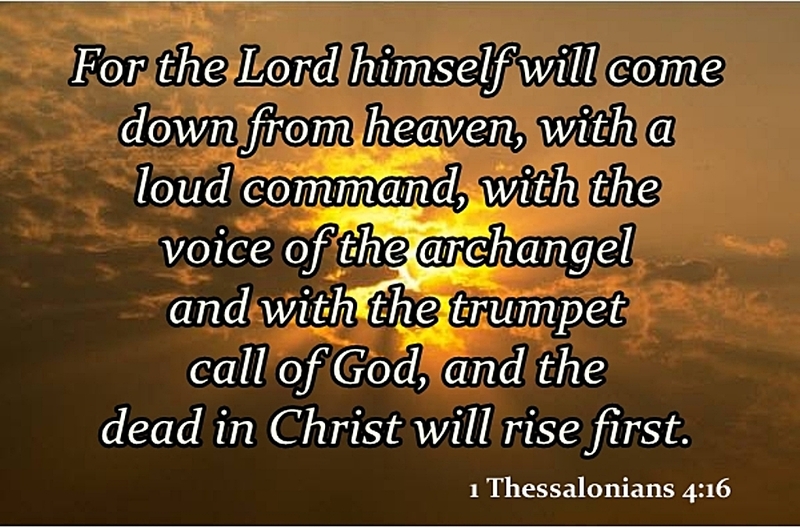 He would descend out of heaven with a trumpet sound and the dead would rise. 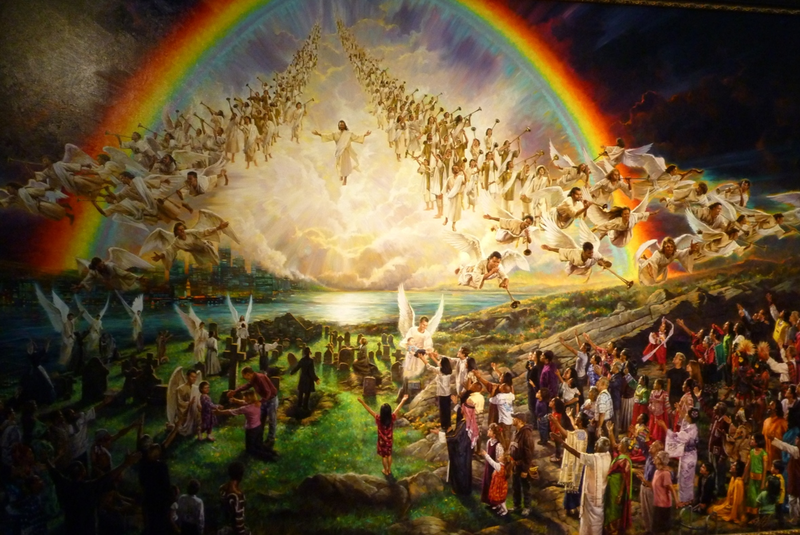 Those alive would be caught up in the clouds to be with them when they met the Lord in the air. This should have raised their hopes in the resurrection and in Christ who was the mediator of this eternal life. Paul reminded them that the Lord would come like a thief. They were not ignorant of this teaching. Paul spoke of it many times. They would not be surprised when these events occurred. God had destined the saved for better things than His wrath (1 Thess. 4). In the harmony of the scriptures, we recognize that the wrath of God spoken of by Paul was the same wrath that John preached about and the same words Jesus spoke when he taught his disciples of the end of the age (Matt. 24). Jesus spoke of the same wrath when he told his parable of the King’s heir (Matt. 21). It was the same day of “fire and smoke” that Peter preached about on that first Pentecost (Acts 2). Within the lifetime of these early disciples, the end of the Jewish world would come and God who made the Jews a nation but who had been rejected by that nation would re-capture that kingdom and give it to those who would honor the King of kings. The end of all things is near; therefore be serious and discipline yourselves for the sake of your prayers. In his second letter to this church, Paul commended them all for their faith and endurance. To him, it was evident that God’s judgment on their persecutors was right. 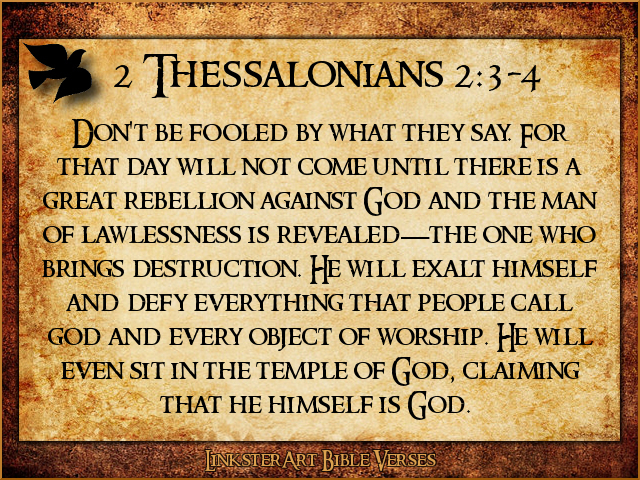 The Thessalonian Christians would be counted worthy of the kingdom because of suffering, while their foes would be troubled when Jesus returned to punish those who really did not know God and refused to obey the good news of the Savior. These members of the church would be given relief from their troubles when Christ put an end to their persecutions. Paul told them how they would be included with the holy people who would marvel at these things (2 Thess. 1). 6 For it is indeed just of God to repay with affliction those who afflict you, 7 and to give relief to the afflicted as well as to us, when the Lord Jesus is revealed from heaven with his mighty angels 8 in flaming fire, inflicting vengeance on those who do not know God and on those who do not obey the gospel of our Lord Jesus. To this effect, Paul reminded them of their gathering to meet the Lord. He assured them of these things and no rumor should frighten them that Christ had already come. For if he had come, it would surely indicate that they were not chosen for salvation and Paul knew that of all people these were prepared to meet the Lord. He furthermore pointed out that the rebellion had not yet occurred. The lawless man had not been exposed. He had yet to oppose and exalt himself over God and to set up his own worship proclaiming himself to be God. Since this had not yet happened, they had nothing to fear. With Paul’s reassurance and these events yet to happen, they had much to look forward to. Paul used to talk of these things when he walked among them (2 Thess. 2). Clearly, the coming of Christ was a much-anticipated event in the lives of the early disciples. The times and seasons would be known when certain key events had transpired. They may not have known the day or the hour of Christs’ coming but they were not blind to times and seasons that would usher his return. Is it not strange that Paul and these church members knew of Christs’ certain return in their lifetimes and we, some 2000 years removed, have given over to the idea that Jesus did not keep his word? Is it not strange that most modern-day disciples do not understand the firm knowledge of Christs’ appearing that Paul used to persuade and to promise these early Christians to endure their hardship; to hold fast their faith? After all, their suffering would soon end with the return of the Lord. How do we explain the events as recorded by the apostles? 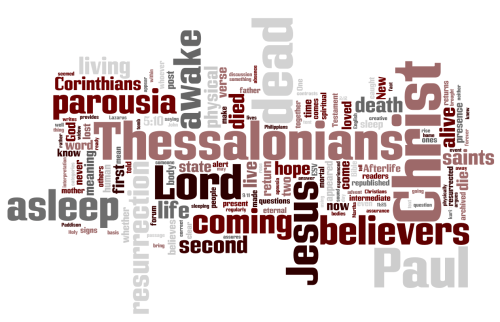 If the churches, like Thessalonica, were taught that Christ was coming to end their suffering, does the Bible record this final event? If there were some standing in Christs’ presence that would not see death until he had returned, just when did this occur in human history (Matt. 24:34)? 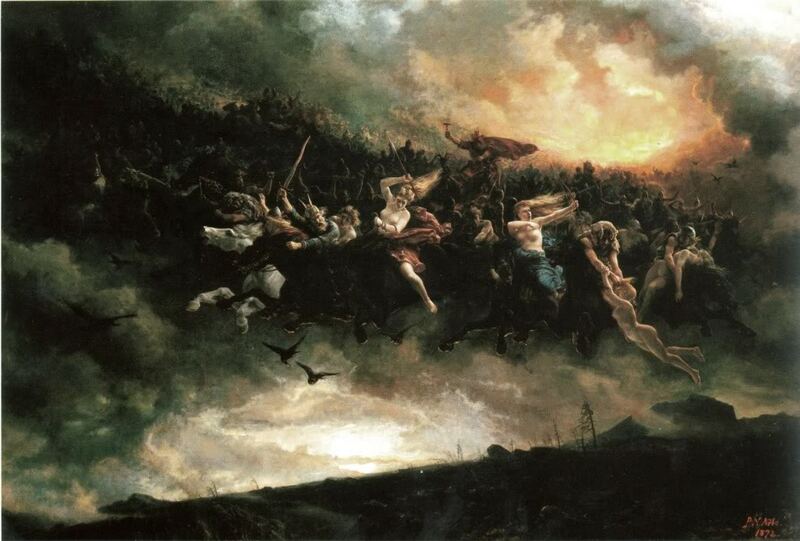 If the greatest mystery of Bible passages, like the second coming, could be understood in light of the biblical narrative, what would that mean for Christianity today? What other passages support the view that Christ would come to close the Jewish age, save the early disciples and begin his global reign on earth? Stay with us as we glean the Bible for a better understanding of these things.